Without a quiet place at home to study, it’s much harder for students to do the homework necessary to improve academic performance. 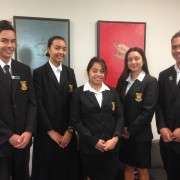 "It’s a real problem," says student Tamera Ketika Pulefolau, "particularly in Auckland where housing pressures can lead to overcrowding." 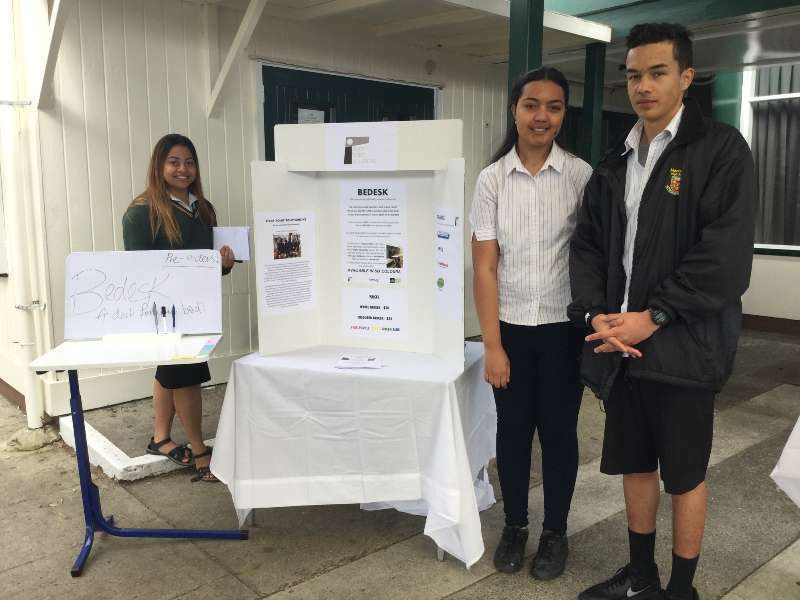 This challenge brought out the creativity of Tamera and her class-mates in the Manurewa High School Business Academy - Cedric Wiremu, Pearl Hamo Rhind, Kaaibo Tiare and Jacob Harris. 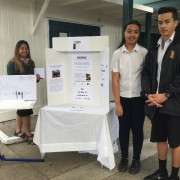 They came up with a concept for a collapsible desk while brainstorming ideas for their Young Enterprise Scheme business, Pivot Point Solutions. 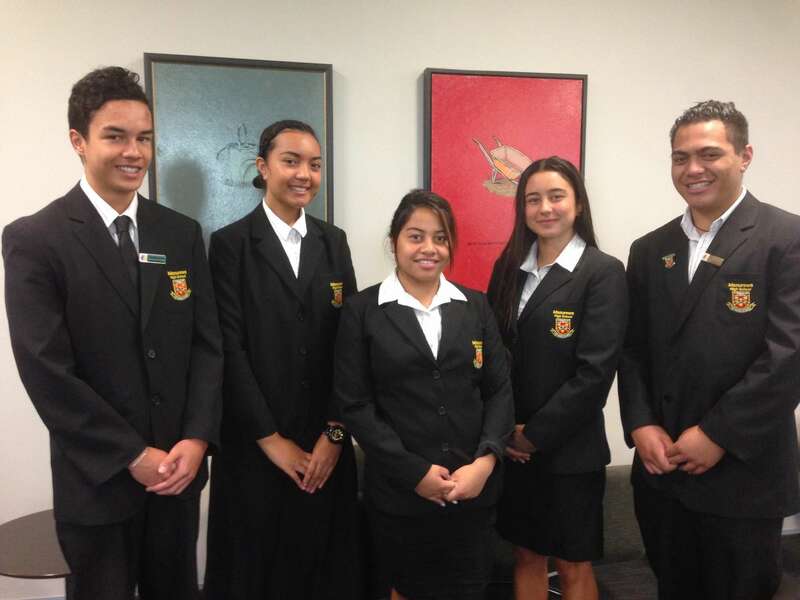 Single desks in classrooms and now making way for group workstations, which enable collaboration. 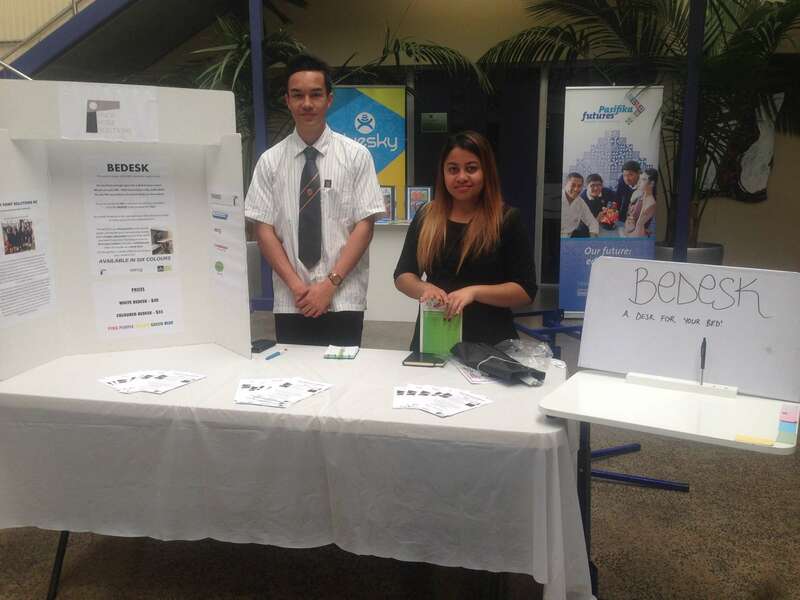 “We wanted to do something useful with the old desks, and solve a real problem in our homes where there may not be any space in a bedroom for a desk,” says Tamera. 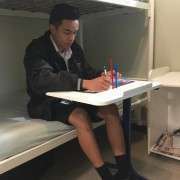 The upcycled school desk, called a ‘bedesk’, is the result of developing a number of prototypes, and testing user response. 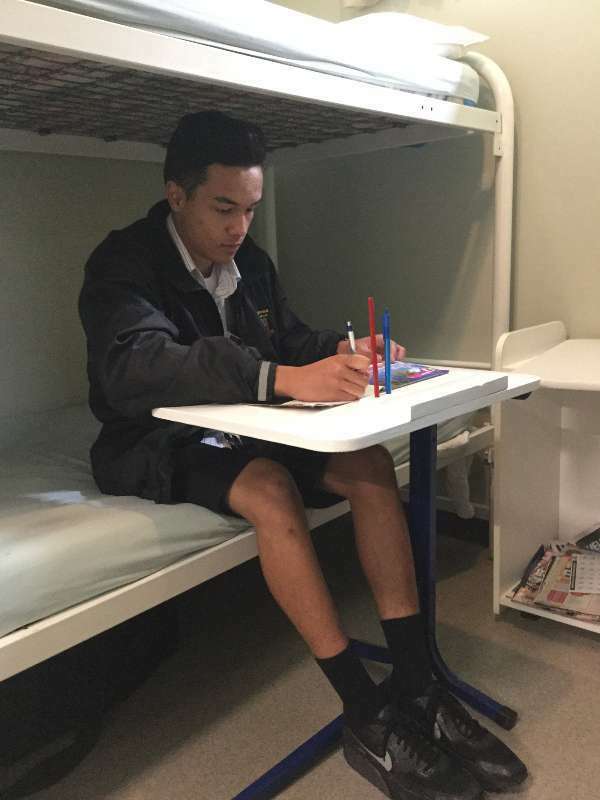 Now with a final design, and a stock of desks provided by Taupaki School, the Bedesk is ready for manufacture in a facility at the Auckland South Correctional Facility. 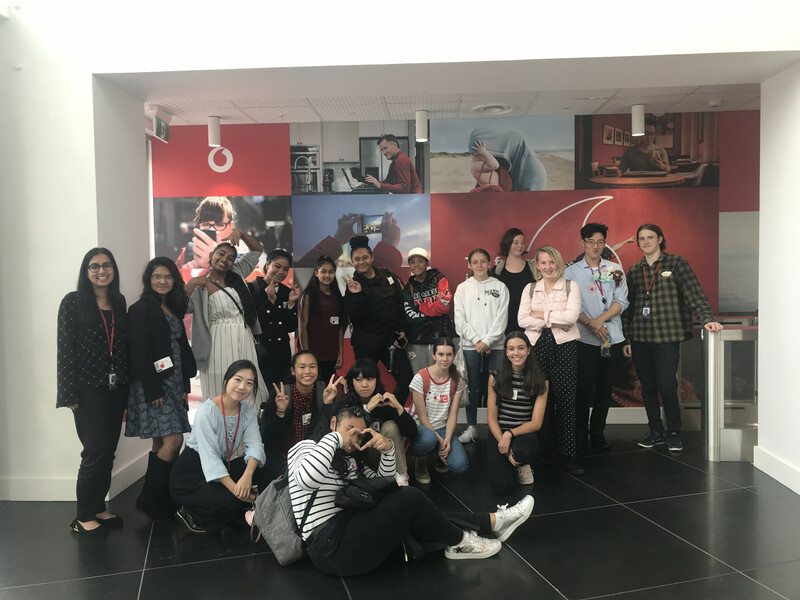 The project has captivated male prisoners as a way to give back to the community and develop their workshop skills, according to a Serco representative. The Bedesk’s development is timely. Research on "The Material Wellbeing of Households", which has data from 40 countries, ranks New Zealand homes negatively in being much less likely to have a quiet place for a student to study. 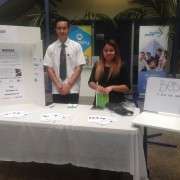 Following sales presentations at the recent Student Achievement Conferences, when hundreds of parents visited school, and also at the Pacific Business Trust Trade Day, the Pivot Point Solutions team has a healthy order book, and a growing passion for business.